This game is based on the Pokemon Adventure Manga. The game follows the manga closely with nearly all the events inside. However, some events were changed to make it longer. The fact that the game follows the manga closely, you don't get to chose your own starter Pokemon. However, you'll be able to get them all later in the game. Despite the game following the Manga's storyline, some events were changed or alter to make it longer. 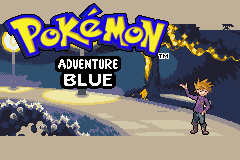 Blue Chapter is part of the Pokemon Adventure series I am making. After years of training, Blue return from the Johto Region back to Pallet to follow his grandpa's footsteps of being the champion of Kanto. At the same time, a boy from Pallet Town is also chasing that exact same dream. Quickly becoming rivals, Blue find himself competing against his rivals but he needs to put those aside when Team Rocket reveal their sinister plans that hurts those he cared about. The Decolore Archipelago saga focuses on Blue, Red, Green, Yellow, Bill and Daisy's adventure at the Decolore islands. What started out as an amusing park for fossil pokemon soon turn havoc when Team Genez is doing more than just reviving fossil Pokemon. Last edited by aethestode; 12th September 2014 at 01:16 PM. cool!finally you made the thread for blue chapter.Question:will you update this thread regularly or we just have to wait until you finish red and green chapter? I have a question. It says Mega Charizard will be in the hack. But is it Charizard X or Y? Aethestode, i found an error in your thread. the features list says that only girl is playable and the other line says that blue and green makes more appearance. Finished the prologue for Blue Chapter. Thanks for pointing that out, I'll fix it. Oh. I'm going to use X. Can't wait for the Decolre Islands chapters!